Chevrolet Corvette Convertible: The Owner Can Write Down History! 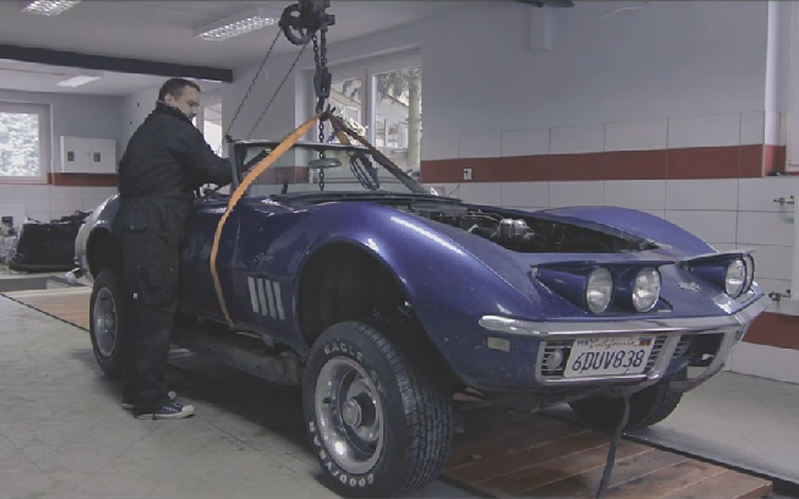 Sit back and watch this Chevrolet Corvette Convertible go from complete car to bare body in no time flat in these two videos! We all know that disassembling a car is not exactly a piece of cake. It takes hours, days, weeks sometimes months of hard work and dedication. The owner of this Chevrolet Corvette Convertible can write down history on restoring a vehicle. At the beginning, everything seems like an easy job. But once you start dismantling bolts and nuts, you are finally being faced with the pile of work ahead of you. This type of work takes an assistance from a couple of friends and the work seems never to stop till the car is bore down to pieces. Manuel Carrillo III from Corvette Forum once explained well the whole disassembling process. He said that only people with superpowers and characters like Batman, Superman can disassemble a car in few minutes. However, check some cool pics and reports from SEMA Las Vegas. Check it out on this link! So if you are long preparing to take the dust off of your vehicle in the garage, we`ve got just the video for you. We assume that you need additional motivation. It a video we stumbled upon on the Corvette Forum and we are more than pleased to share it with you guys!